Monkey Kingdom will be available on Blu-ray, Digital HD & Disney Movies Anywhere Sept 15! 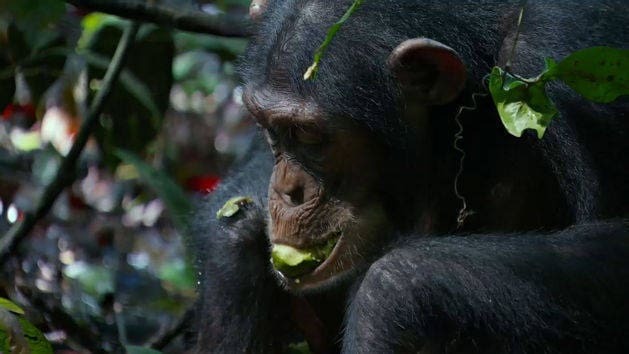 A baby chimp uses tools to get food in the forest. 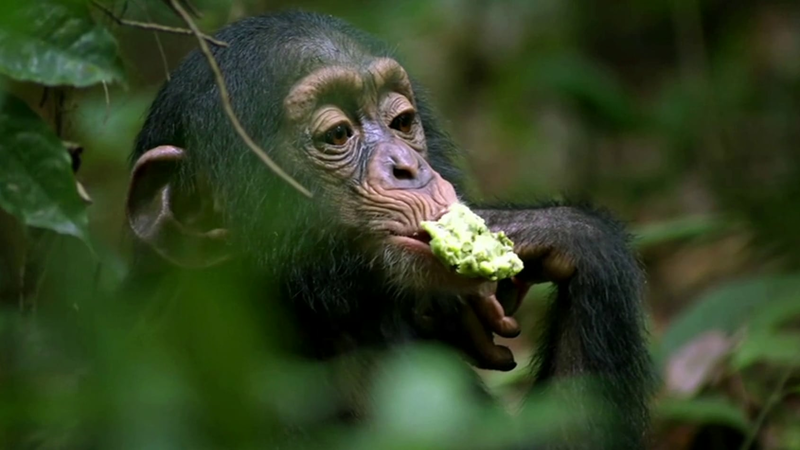 To celebrate 5 years since the announcement of the label, Disneynature celebrates the planting of our 3 millionth tree. 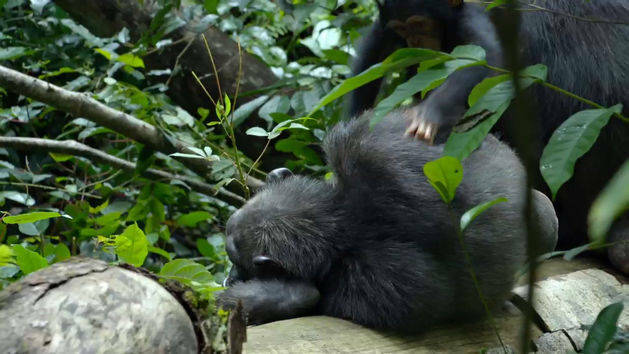 A sleeping adult chimp is distracted by the two playful kid chimps swinging on the branches above him. 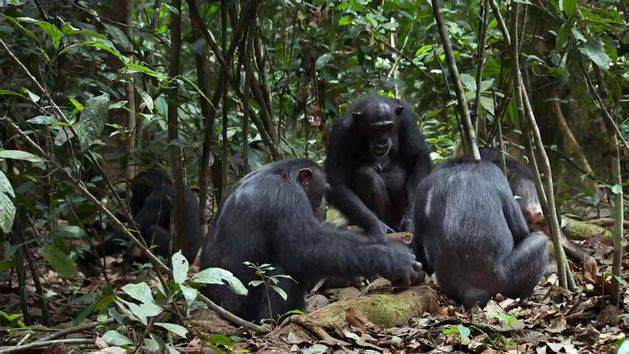 Meet Oscar's Mom and his extended family of chimps in the rainforest in Disneynature: Chimpanzee.